This art mind map explains the different art movements and the artists involved in each. It allows you to classify and organize the information in a visual format so it's easier to understand. 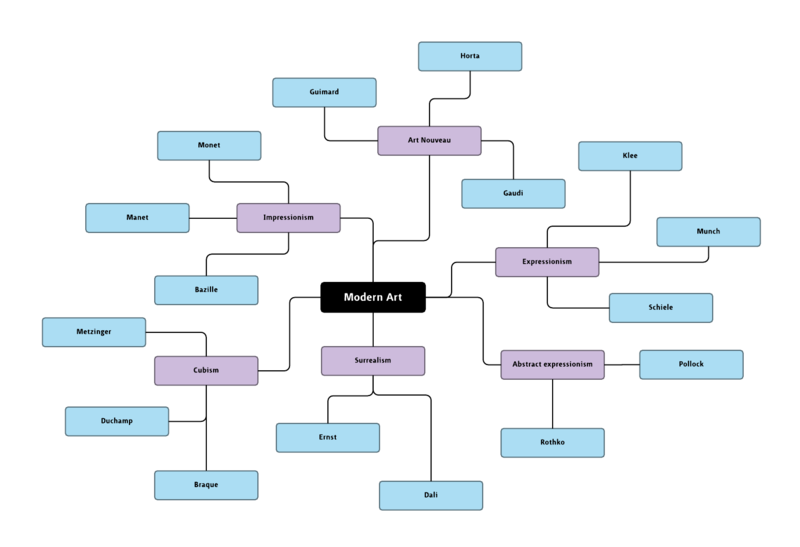 By signing up for a Lucidchart account, you can use access this art mind map template to explore any topic.